What would it be like to slice hundreds of juicy fruit and never clean up the mess? 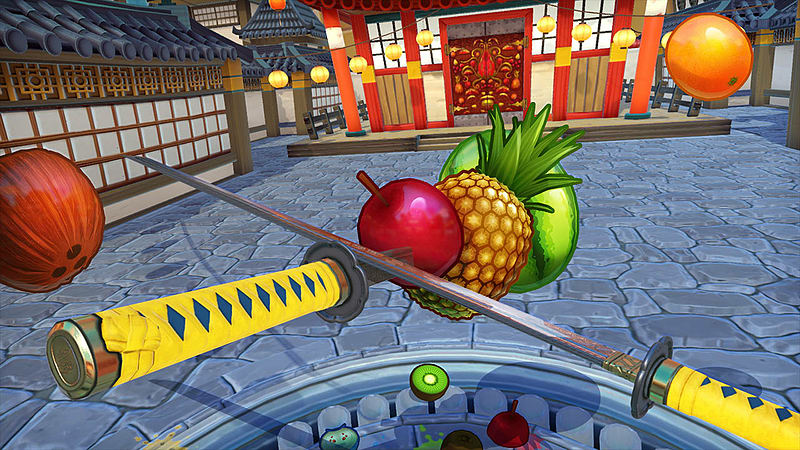 Wonder no more – Fruit Ninja VR is here! 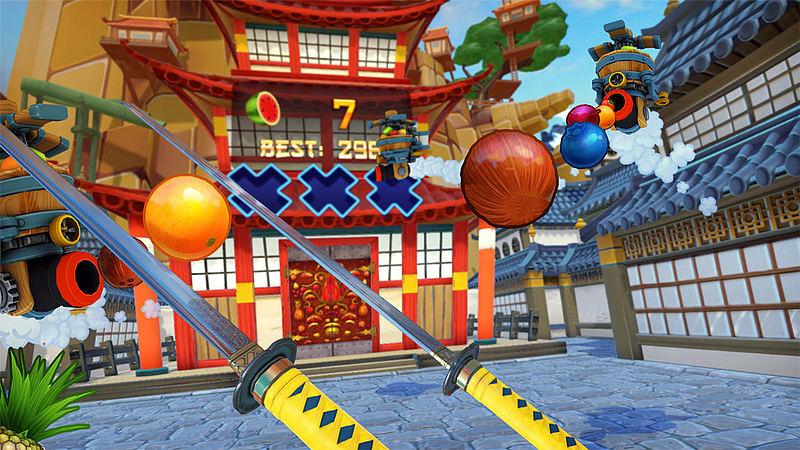 Duel with not one, but two swords that will also let you juggle, skewer and flick fruit, and even deflect bombs! Play through the modes that billions of players have enjoyed on mobile. 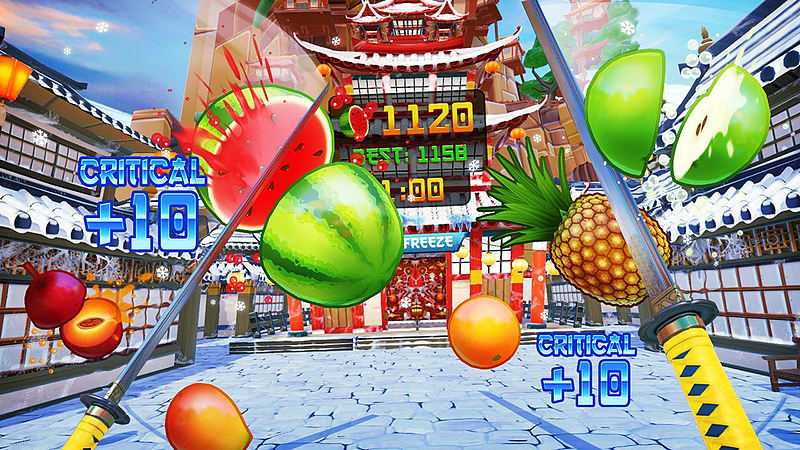 Slice your way to a high score in Classic mode, get the party started in Arcade mode, or relax in Zen mode. 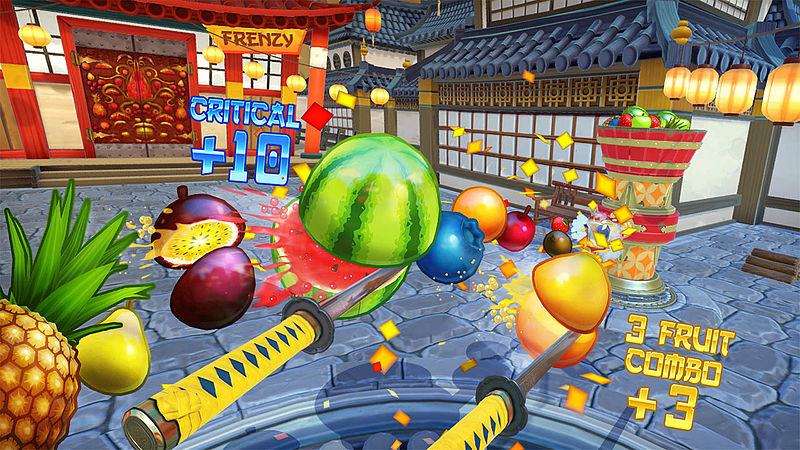 Exclusive to Fruit Ninja VR is the brand new Survival mode, which lets you face off against fruit-firing helicopters!